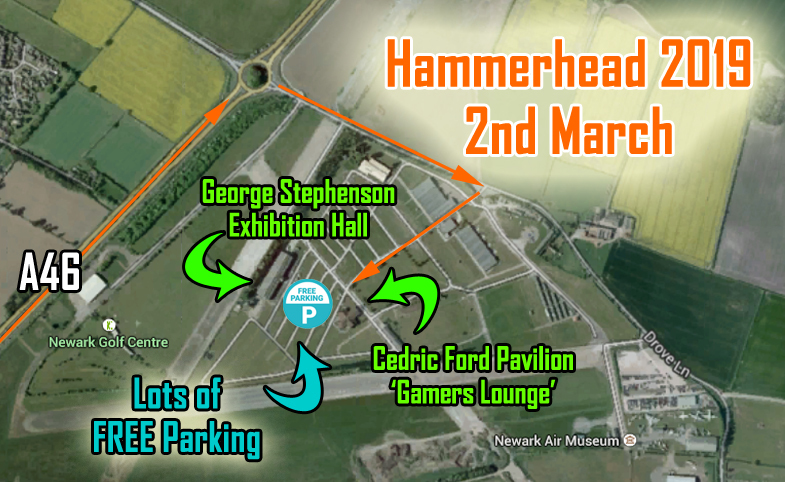 Hammerhead 2019 is on Saturday 2nd March at the same great location - Newark Showground. The ‘Gamers Lounge’ (Cedric Ford Pavilion) and the George Stephenson Hall, offer a welcoming environment with plenty of natural light in which you can play games, shop for wargame goods from a selection of top traders positioned around the perimeter of the halls. All games at Hammerhead are visitor participation games are all located in the central area of the exhibition hall and 'Gamers Lounge'. There are two separate catering facilities which will be serving a variety of reasonably priced hot and cold food throughout the day and a fully licensed bar is located in the Gamers Lounge. 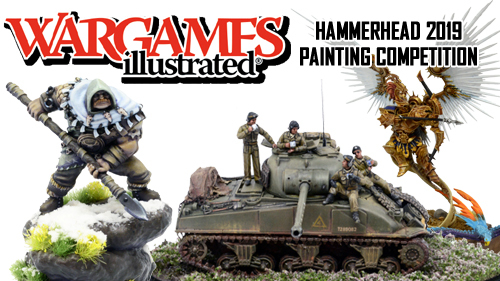 Returning for 2019 - the Wargames Illustrated Hammerhead Painting Competition, just bring your painted miniatures along to the Wargames Illustrated stand located in the George Stephenson Hall. For more details visit the Hammerhead show website. The car parking is plentiful and free and is located between the Gamers Lounge and the George Stephenson Exhibition Hall. Come and join us for the Hammerhead 2019 experience! Hammerhead 2019 is run by Hammerhead Events with assistance from the Forest Outlaws Wargamers Club and GCN.